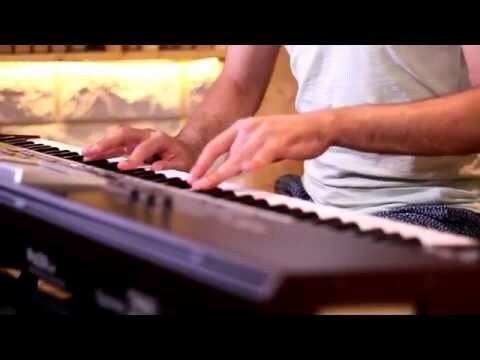 Korg is synonymous with professional workstations, chosen by countless composers, keyboardists, producers and singer songwriters around the ..
Korg is synonymous with professional workstations, chosen by countless composers, keyboardists, producers and singer songwriters around the world. The Korg PA3X LE continues in that tradition but is available at a new competitive price. With every sonic style catered for, TC Helicon vocal harmonising, 192MB of user PCM data and a 7 inch screen it's all you need to make music at the highest level. The PA3X LE is also a natural performer with 76 keys, joystick articulation and an intuitive interface. The main panel has been optimized to ensure that all controls are ergonomically and intuitively positioned, to facilitate a natural performance. The interface on our large color TouchView display includes newly -detailed icons and objects, and is easier than ever to read. So that musicians of all levels can make great music quickly, there are two interface modes: Easy and Expert. The Easy mode shows only the most important controls while keeping a clean and straightforward look, useful for beginners or for playing live. In Expert mode, you have full editing control, and are presented with more options at once. When you do not remember where a file, a song or a style was saved, just use the Search function and let the Pa3X Le find it for you. For those looking for an all-in-one solution, the optional PaAS speaker system provides ample power with its bi-amplification and pristine sound quality through 5 speakers. The installation process is very simple: Just position the speaker in place and it's done. No additional power or audio cables are needed. Based on KORG’s sophisticated sound engine, the Pa3X Le provides over 1,100 outstanding sounds, including a new stereo grand piano (with string and damper resonance) and new electric pianos from the acclaimed KORG SV-1 stage piano. There is also Digital Drawbar organ emulation, which includes leakage and key on/off sounds for a natural performance. Our RX (Real eXperience) Technology and the DNC (Defined Nuance Control) allow the player to reproduce subtle nuances and articulations, creating ultra-realistic instrument performances. For example, the joystick and assignable switches can introduce the growl of a passionately-played saxophone, breath elements found in trumpet, clarinet and harmonica, and the added characteristics that give added authenticity to the pizzicato and bowed sounds of a rich string section. More than 90 authentic drum kits (including Ambient Drums) give life to any rhythmic texture, with a Drum Family Easy Editing feature that gives total control over volume, pitch, EQ, and more. The additional 192MB of user memory means new sounds can be added quickly and easily. The Pa3X Le can load/import Korg, WAV, AIFF, and SoundFont™ formats, and can export files in WAV or AIFF formats. You can also create your own sampling session by taking advantage of the complete sample recording and editing features. The Pa3X Le comes with over 410 Styles, each one a fully-realized musical environment dedicated to creating a particular musical style. Each Style features 4 Fill Ins + Break patterns, one for each variation. 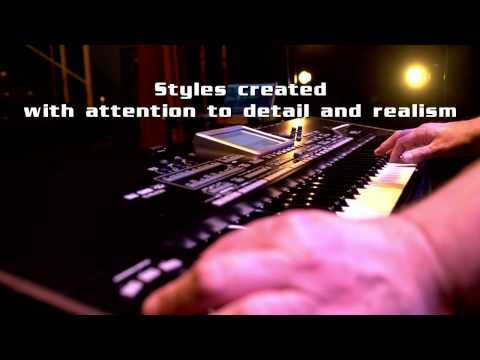 KORG’s international sound team has created many new Styles for the Pa3X Le, and many of our revered and well-known Styles have been improved with new sounds and mixing. The Pa3X Le has 1,200 total locations for saving Styles and settings. The Guitar Mode 2 feature has been improved, making the style guitar tracks more authentic than ever. The convenient Chord Sequencer function records your chord progressions on-the-fly in Style Play mode, which is useful not only for practice, but for freeing up a hand while performing live.